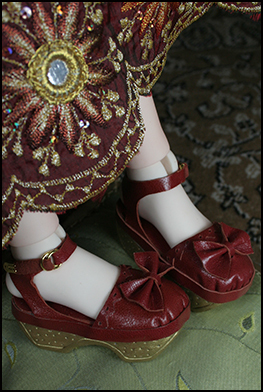 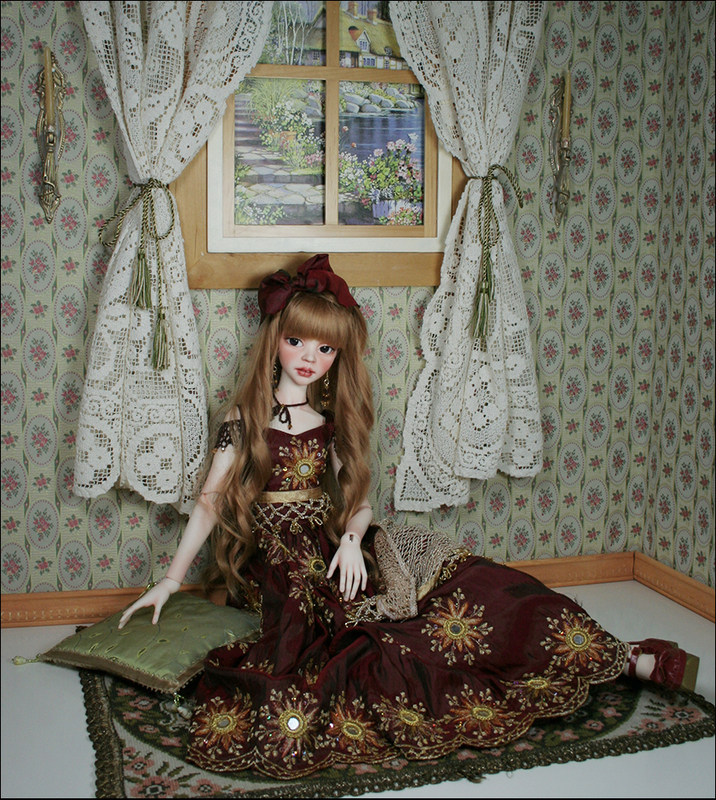 This doll will be for sale Saturday - May 31at 3:00 pm EST. 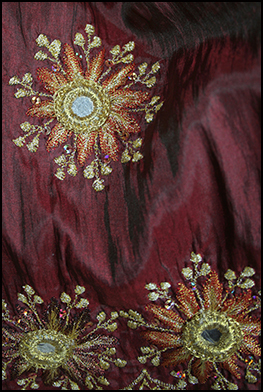 Cassie's dress is a polyester fabric with metallic thread embroidery and netting underskirt. 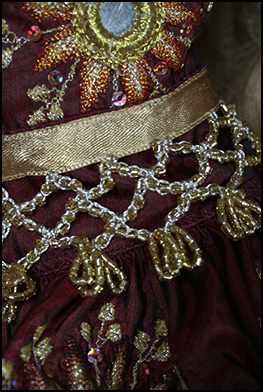 The waistband is a beaded fringe. 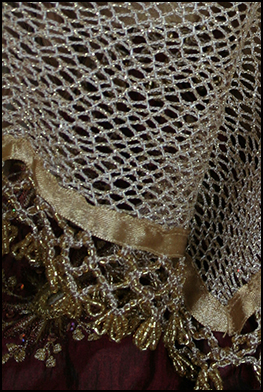 Her shawl is an open netting fabric with metallic thread and is edged with a beaded fringe. 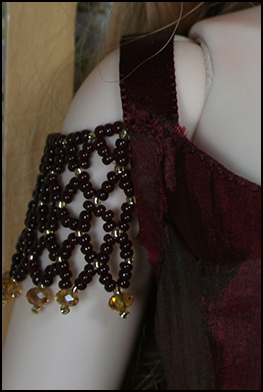 Her necklace, earings and shoulder decorations are glass beds and crystals. 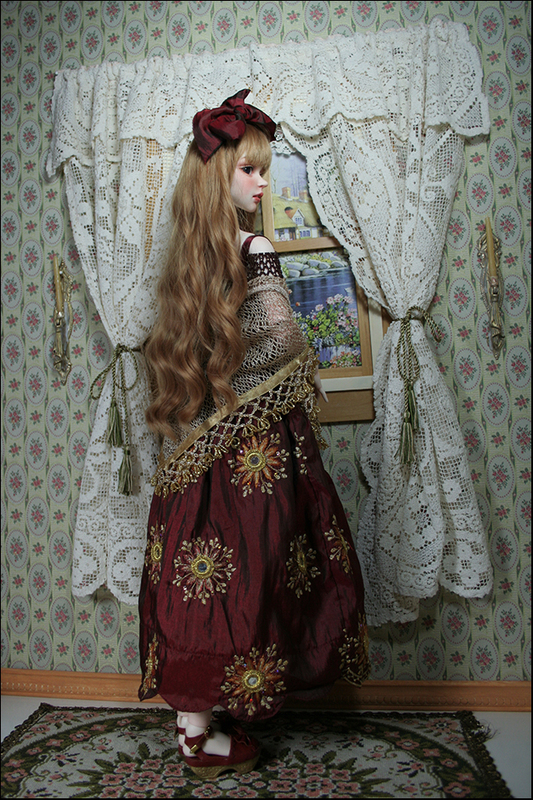 Her wig is from "For My Doll" and her eyes are from "Eyeco"platinum series.